The problems that occurred during the 2000 Presidential election illustrated the need for some changes and improvements to federal and state election practices. In response the United States Congress passed the “Help America Vote Act” (HAVA) in 2002. HAVA mandated changes in almost every part of the voting process, from voter registration to the types of voter equipment used at the polls including accessibility for voters with disabilities. The goal is to make registering and voting as simple as possible so that all citizens are empowered with the confidence that their votes are being counted accurately. In response to HAVA, Arkansas had to pass many new laws to meet the federal requirements (Acts 994 and 995 of 2003). These laws reflect some of the changes that are mandated by HAVA, e.g., provisional balloting, voter registration and voter education. The State of Arkansas received approximately $29.5 million in federal funding for improvements to our election systems. Congress established the Election Assistance Commission to evaluate and approve state implementation plans, allocate grant dollars and establish voting system standards. Because the commission was not set up in time for the first HAVA deadline, January 1, 2004, Secretary Daniels joined 24 other states in requesting an extension until to replace Arkansas’s outdated punch card and lever voting systems in 13 Arkansas counties. Daniels also joined 44 other states in requesting a waiver on establishing a statewide voter’s registration list. The waiver requests gave Arkansas until January 1, 2006 to comply with voter registration and voting system mandates. In 2003, Secretary Daniels formed a Help America Vote Act Planning Committee comprised of local election officials, disability groups, members of political parties, public members, partnering state agencies and minority groups. 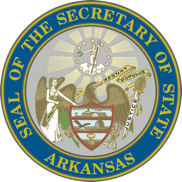 With the help of these individuals Secretary Daniels completed a state plan to implement HAVA’s monumental changes for the voters of Arkansas. In January 2005, Election Systems & Software (ES&S) was awarded a $5 million contract to implement Arkansas’s new voter registration system, NOVA (the Network of Voters in Arkansas). This system enables state and county election officials to manage elections quickly, easily and more efficiently. NOVA became fully operational in January 2006 and now allows all of Arkansas’s counties to process voter registrations through one centralized system. Arkansas’s county election officials can now share information with each other, the Division of Motor Vehicles, the Department of Health and the Arkansas Department of Community Correction to better enable them to maintain accurate election rolls. In addition, the Secretary of State has administered more than $225,000 in grants to ensure that individuals with disabilities have full access to the state’s polling sites. Over 200 polling sites in 27 counties received funds to make improvements such as entry ramps, door hardware, paved parking and handrails. In November 2005 ES&S was awarded a $15.9 million contract to replace voting equipment in Arkansas. According to HAVA federal mandates, Arkansas was required to replace most of its outdated voting equipment with HAVA-compliant systems. The first phase of the installation was completed in time for the May 2006 primary elections and introduced at least one handicap-accessible touch screen to each polling site in the state. Thirteen counties replaced their outdated punch card and lever systems and nine counties switched from hand-count paper ballots during the first phase. Phase two deployed new equipment to the remaining counties in time for the general election in November 2006.